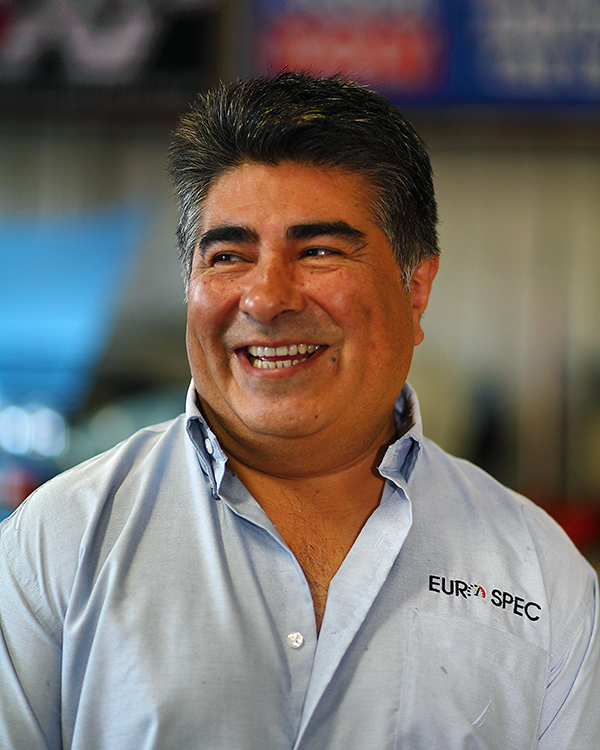 I'm Luis Merchan, the Owner of Eurospec, Inc. European Auto Repair in Jacksonville, FL. Here at Eurospec, Inc. European Auto Repair, we take care of all your auto repair needs. Since 1993, Eurospec, Inc. European Auto Repair has serviced virtually every car-related problem, no matter how complicated it is. When you arrive at our shop, we will work with you on how to solve your auto repair issue. Once arrangements for your vehicle have been made, it is serviced by our team of certified auto repair technicians. They are trained in European Car Repair, BMW Repair, Mercedes-Benz Repair, Volvo Repair and Jaguar Repair and all other aspects of a well equipped auto repair shop. When you pick up your automobile, completed on time of course, the problem will be solved and we will have taken good care of your vehicle. It doesn't matter if you come from Jacksonville or the surrounding area, our auto repair shop will treat your auto repair problem with the utmost respect. Our website offers an accurate picture of who we are and what we do. More than that, I hope it will serve as an introduction to our business and a personal invitation to experience the difference 26-plus years of servicing the motoring public can provide you, your vehicles and your family. "I would recommend Eurospec as a lower cost provider with.."
"Audi dealership was charging me over 6k in repairs for.."
"EuroSpec provides a good overview of what to expect from.."
"Great customer service, fast turnaround time for repairs, reasonable prices." "My philosophy is you get what you pay for...that being.."
"Professional Staff, willing to assist, comfortable environment"
"Technically, high quality. Excellent attention and courtesy abound." "They were the most honest Automotive shop I have ever.."
"Very impressed with the knowledge your specialists have of my.."
"Trust worthy and recommended shop." "Knowledgeable, professions and honest. Great experience." "They know what they are talking about and explain things.."
"An excellent experience! I want to deal with people.."
"Good services and cost a lot less than the dealer." "The mechanic was wonderful. Love you guys." "They got me in the same day and I drove.."
"Very friendly and courteous staff. Completed the work on time.."
"Very professional and courteous, I would recommend highly. Also.."
"Reliable and fair. Customer focused." "Very profesional, courteous and knowledgeable about my vehicle. They understand.."
"In a word - PROFESSIONAL!" "Absolutely, highly recommend. Know Louis and Ryan for many years.."
"I would tell them that EuroSpec has the customer's best.."
"The customer services is amazing. Very happy with everyone we dealt with!" "They are top notch in their field and have a.."
"Always professional, thorough, and courteous." "Exceptional service, professional and very friendly. Well above my.."
"I have only visited once, but the staff was very.."
"Customer service is excellent. Everyone goes above and beyond to.."
"Well, these guys have helped me out a bind twice.."
"Very professional, listen to my problem, showed me the issue,.."
"fist time doing business with them, seems fair and good customer service"
"Excellent communication and they do what they say they are.."
"Great service, just picked up car today so can't speak.."
"Customer service exceeds expectations. They need to stop going.."
"The level of service was excellent......professional in every way. .."
"Very thorough work. The emails with picture explanations were exceptionally.."
"Excellent. Very helpful front desk and I very much appreciated.."
"Various professional clean and knowledgeable shop"
"Great owners, great mechanics, great service, very reasonable costs. They.."
"EuroSpec's certified staff give very good and perfessional service. They.."
"The customer service is extremely Exceptional; I always feel like.."
"Top notch! These guys know what service is all about. I'm impressed." "Great place, great people and clean waiting area." "Top-Notch! These guys know what service is all about. They are.."
"I WOULD HIGHLY RECOMMEND TO ALL BMW OWNERS"